For the eight Indians -- six from the Indian air force, two from the Intelligence Bureau -- even a van ride had become an abject lesson in the finer points of tradecraft. Sent to Washington in mid- March 1963, they were to be the cadre for the covert airlift cell conjured earlier by Biju Patnaik and Bob Marrero. For the first two weeks, Marrero, who was playing host, arranged for briefings at a row of CIA buildings near the Tidal Basin. By the beginning of April, the venue was set to change. A van pulled up to their Washington hotel in the dead of night, and the eight Indians plus Marrero piled into the back. All the windows were sealed, and the Indians soon lost their bearings as the vehicle drove for an hour. When they finally stopped, the rear doors opened nearly flush against a second set of doors. Hurried through, they took seats in another windowless cabin tucked inside the belly of an aircraft. Landing at an undisclosed airfield -- only years later would they learn that it was inside Camp Peary -- the Indians were taken to an isolated barracks. Over the next month, a steady stream of nameless officers lectured on the full gamut of intelligence and paramilitary topics. There were surreal touches throughout: their meals were prepared by unseen cooks, and they would return to their rooms to find clothes pressed by unseen launderers. 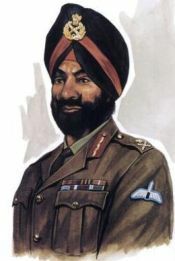 The leader of the eight Indians, Colonel Laloo Grewal, had a solid reputation as a pioneer within the air force. A turbaned Sikh, he had been commissioned as a fighter pilot in 1943 and flew over 100 sorties during World War II in the skies over Burma. Immediately after independence in 1947, he was among the first transport pilots to arrive at the combat zone when India and Pakistan came to blows over Kashmir. And in 1952, he was in the first class of Indian aviators selected to head to the United States for transition training on the C-119 transport. When the call went out for a dynamic air force officer to manage a secret aviation unit under the auspices of the Intelligence Bureau and CIA, Grewal was the immediate choice. Following the training stint at Peary, six of the students returned to New Delhi. The two most senior members, Grewal included, remained for several additional weeks of specialized aviation instruction. Marrero, meanwhile, made arrangements in May to head for India to conduct the comprehensive air survey broached with Biju Patnaik in their December 1962 meeting. 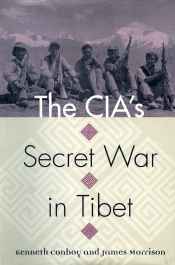 Joining Marrero would be the same CIA air operations officer who had been involved with the earliest drops into Tibet, Gar Thorsrud. Much had happened to Thorsrud since his last involvement with Tibet. In the spring of 1961, he was briefly involved in Latin America. Later that summer he shifted to Phoenix, Arizona, and was named president of a new CIA front, Intermountain Aviation. Among CIA air proprietaries, Intermountain was in the forefront of innovation. With its main operational base at Marana Air Park near Tucson, Arizona, the company specialized in developing new aerial support techniques. It was Intermountain, for example, that worked at perfecting the Fulton Skyhook, a recovery method that whisked agents from the ground using an aircraft with a special yoke on its nose. Intermountain experts also experimented with the Timberline parachute configuration (a resupply bundle with extra-long suspension lines to allow penetration of tall jungle canopy) and the Ground Impact system (a parachute with a retainer ring that did not blossom until the last moment, allowing for pinpoint drops on pinnacle peaks). It was this eye for innovation that Thorsrud carried with him to India. 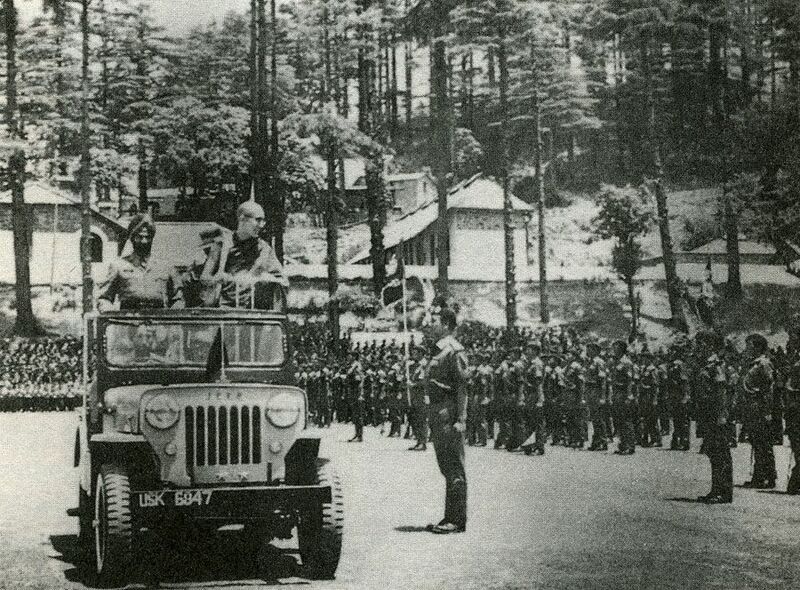 For three months, he and Marrero were escorted from the Himalayan frontier to the airborne school at Agra to the Tibetan training site at Chakrata. Much of their time was spent near the weathered airstrip at Charbatia, where they were feted by the affable Patnaik. He offered use of Charbatia as the principal site for a clandestine air support operation and immediately secured funds from the prime minister for reconstruction of the runway. Patnaik also donated steel furniture from one of his factories, cleared out his Kalinga Air Lines offices to serve as a makeshift officers' quarters, and even loaned two of his Kalinga captains. "He was Nehru's fix-it guy," said Thorsrud. "He got things done." Returning to New Delhi after nearly three months, the two CIA men were directed to a hotel room for a meeting with a representative of the Intelligence Bureau, T. M. Subramanian. Known for his Hindu piety and strict vegetarian diet, Subramanian had been serving as the bureau's liaison officer at Agra since November, where he had been paymaster for amenities offered to the USAF crewmen rushing military gear to India. He was also one of the two intelligence officers who had been trained at Camp Peary during April. In the ensuing discussions between the CIA aviators and Subramanian, both sides spoke in general terms about the best options for building India's covert aviation capabilities. In one area the American officers stood firm: the United States would not assist with the procurement of spare parts, either directly or indirectly, for the many Soviet aircraft in the Indian inventory. A subject not discussed was which U.S. aircraft would be the backbone for the envisioned covert unit. Earlier in the spring, this had been the subject of serious debate within the CIA. Wayne Sanford, the senior paramilitary officer in New Delhi, had initially proposed selection of the C-119. This made sense for several reasons. First, more than fifty C-119 airframes had been in the Indian inventory since 1952; it was therefore well known to the Indian pilots and mechanics. Second, beginning in November 1962, the Indians had ordered special kits to add a single turbojet atop the center wing section of half their C-119 fleet. The added thrust from this turbojet, tested in the field over the previous months, allowed converted planes to operate at high altitudes and fly heavy loads out of small fields. The United States pledged in May 1963 to send another two dozen Flying Boxcars to India from reserve USAF squadrons. Other CIA officials in Washington, however, were keen to present the Indians with the C-46 Commando. A workhorse during World War II, the C-46 had proved its ability to surmount the Himalayas while flying the famed "Hump" route between India and China. More important, other CIA operations in Asia -- primarily in Laos -- were making use of the C-46, and the agency had a number of airframes readily available. There were drawbacks with the C-46, however. It was notoriously difficult to handle. Moreover, the Indians did not operate the C-46 in their fleet, which meant that the pilots and mechanics would need a period of transition. When CIA headquarters sent over a USAF officer to sing the praises of the C-46 in overly simplistic terms, Grewal cut the conversation short. Recalls Sanford, "He flatly told the U.S. officer that he had been around C-46s longer than the American had been in the air force." In the end, however, the Indians could not protest CIA largesse too loudly. When Marrero and Thorsrud had their meeting with Subramanian, selection of the C-46 was an unstated fait accompli. The next day, Subramanian returned to the two CIA officers with a verbatim copy of the hotel discussion. "Either he had a photographic memory," said Thorsrud, "or somebody was listening in and taking notes." Both Americans signed the aide-memoire as a working basis for cooperation. As a final order of business, Marrero asked for an audience with Mullik. With the Charbatia air base -- now code-named Oak Tree 1 -- still in the midst of reconstruction, the first aircraft deliveries would not take place until early autumn. This did not dampen Marrero's enthusiasm as he recounted the list of possible cooperative ventures over the months ahead. The aloof Mullik replied with an indifferent stare. "Bob, we will call you when we need you." Despite Mullik's lack of warmth, efforts to create the covert air unit went ahead on schedule. On 7 September 1963, the Intelligence Bureau officially created the Aviation Research Centre (ARC) as a front to coordinate aviation cooperation with the CIA. Colonel Grewal was named the first ARC operations manager at the newly completed Charbatia airfield. He was given full latitude to handpick his pilots, all of whom would take leave from the military and belong -- both administratively and operationally -- to the ARC for the period of their assignment. In New Delhi, veteran intelligence officer Rameshwar Nath Kao took the helm as the first ARC director. A Kashmiri Brahman like Nehru, forty-five-year-old Kao was a spy in the classic sense. Tall and fair skinned, he was a dapper dresser with impeccable schooling; he was a Persian scholar and spoke fluent Farsi. Dignified and sophisticated, he had long impressed the officers at the CIA's New Delhi station. "I had the opportunity to drive with him from Kathmandu back to India," recalled one CIA official. "At each bridge we crossed, he would recount its technical specifications in comparison to its ability to support the heaviest tank in the Chinese inventory." To assist Kao and Grewal, the CIA dispatched Edward Rector to Charbatia in the role of air operations adviser. Qualified as a U.S. Navy dive-bomber pilot in 1940, Rector had joined Claire Chennault's famed Flying Tigers the following year. He would later score that unit's first kill of a Japanese aircraft and go on to become an ace. After switching to the U.S. Army Air Forces (later the U.S. Air Force), he retired as a colonel in January 1962. Rector came to Oak Tree with considerable Indian experience. During his Flying Tigers days, he had transited the subcontinent. And in late 1962, following his retirement from military service, he had gone to India on a Pentagon contract to coordinate USAF C-130 flights carrying emergency assistance to the front lines during the war with China. Now serving with the CIA, Rector was on hand for the initial four aircraft deliveries within a week of ARC's creation. First to arrive at Oak Tree was a pair of C-46D Commandos; inside each was a disassembled U-10 Helio Courier. 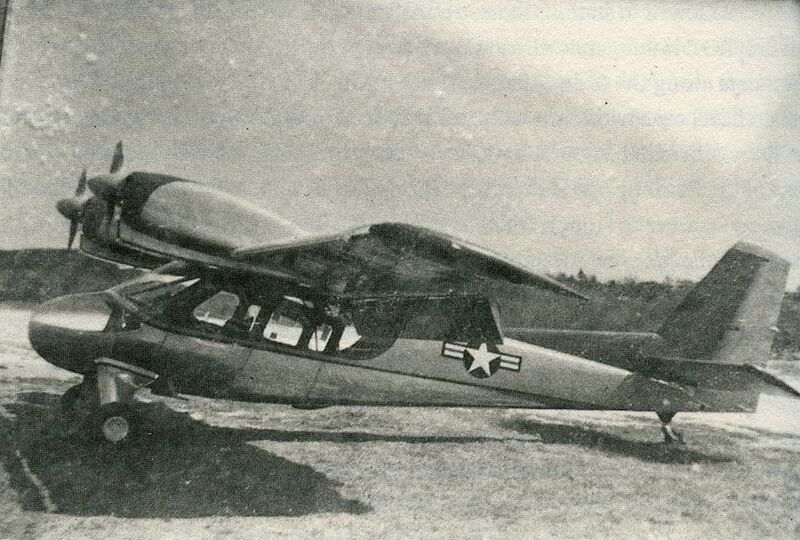 A five-seat light aircraft, the Helio Courier had already won praise for its short takeoff and landing (STOL) ability in the paramilitary campaign the CIA was sponsoring in Laos. Without exaggeration, it could operate from primitive runways no longer than a soccer field. More aircraft deliveries followed, totaling eight C-46 transports and four Helio Couriers by early 1964. Under Rector's watch, the CIA arranged for the loan of some of the best pilots from its Air America roster to act as instructors for the ARC crews. Heading the C-46 conversion team was Bill Welk, a veteran of the Tibet overflights. For the Helio Courier, Air America Captain James Rhyne was dispatched to Oak Tree for a four-month tour. During this same period, T. J. Thompson, who had been assisting with the Tibetans' jump training at Agra, began work on a major parachute facility -- complete with dehumidifiers, drying towers, and storage space at Charbatia. "By the time it was finished," said Thompson, "it was larger than the facilities used by the U.S. Army in Germany." Under the tutelage of the Air America pilots, the ARC aircrew contingent, including two captains on a one-year loan from Kalinga Air Lines, proved quick studies. By the close of 1963, transition training was nearly complete. For a graduation exercise, a demonstration was planned at Charbatia for 2 January 1964. Among the attendees would be Nehru himself. Arriving on the assigned day, the prime minister took center seat in a rattan chair with a parasol shading his head. On cue, a silver C-46 (ARC planes bore only small tail numbers and Indian civil markings) materialized over Charbatia and dropped bags of rice and a paratrooper.  Then a Helio Courier roared in and came to a stop in an impossibly small grassy patch in front of the reviewing stand. An "agent," hiding in nearby bushes with a bag of "documents," rushed aboard the Helio. Showcasing its STOL ability, the plane shot upward from the grass and over the stands. Nehru, at once impressed and confused, turned to the ARC and CIA officials in attendance and asked, "What was that?" Portrait of Major General Sujan Singh Uban, Inspector General (IG) of Special Frontier Force (SFF) code named "Establishment 22". The commando badge of a winged dagger has since been replaced by usual Indian Army insignia. © Elite Forces of India and Pakistan. 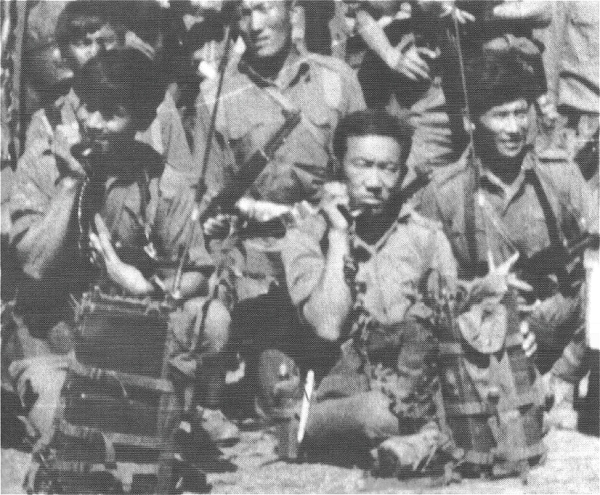 Tibetan troops of SFF after victory in Chittagong where they conducted clandestine operations during 1971 war. They are equipped with Bulgarian variants of AK-47 and M-1 Garand rifles supplied by the USA. 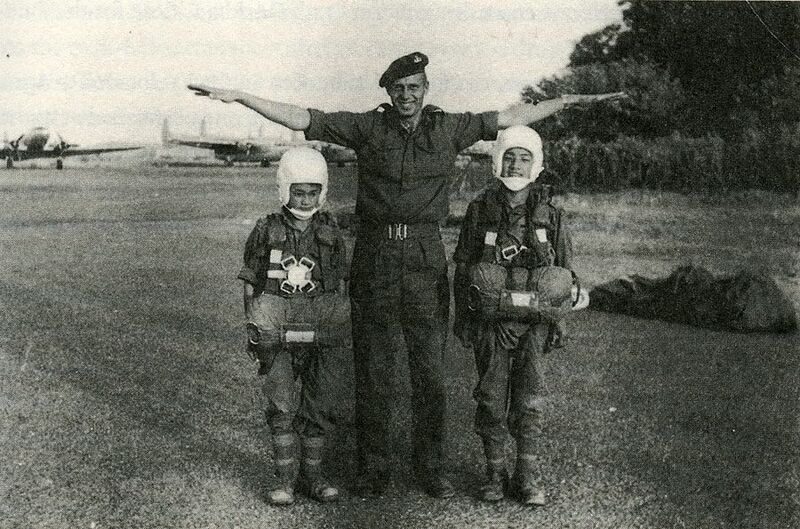 T.J. Thompson with two Tibetan student riggers - Agra AF Stn in 1963. In the background is a C-47 Dakota and two C-119 Packet aircraft. Twin Courier N8745R in flight. Only a handful of this type were ever built, and two of them ended up in India. Twin Courier  photographed possibly at Hulburt, Florida in 1962. This aircraft was transferred to ARC.